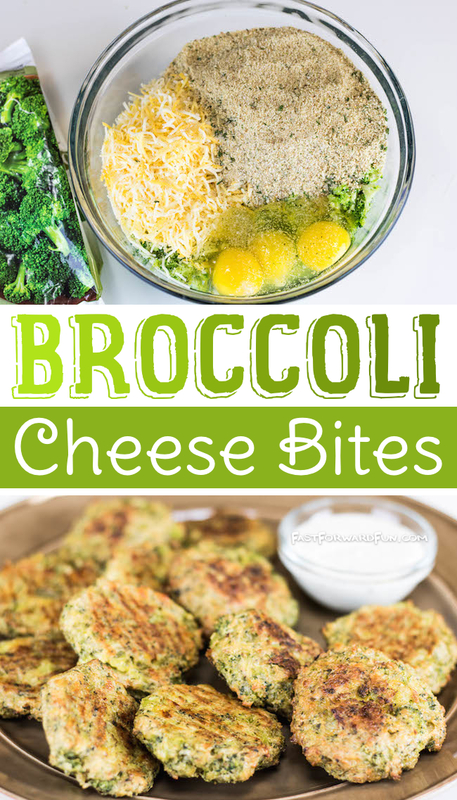 Broccoli seems to be one of those veggies that you either love or hate. 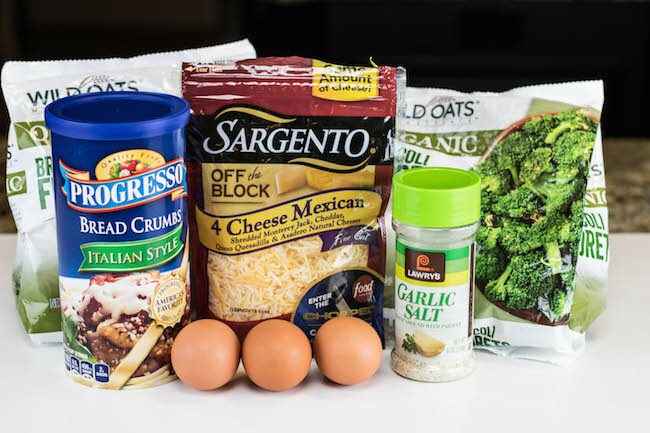 It has always been one of my favorite vegetables, especially topped with lots of cheese, but even if you’re not a fan, I think you’re going to really like this recipe, not only because it’s incredibly easy (4 ingredients!! 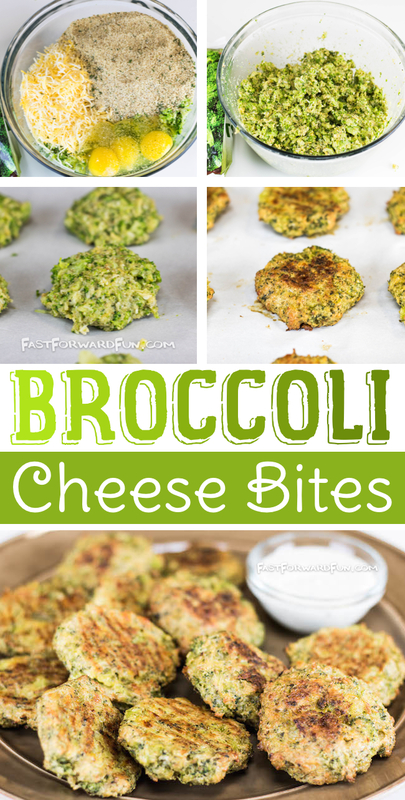 ), but these little broccoli cheese bites are really yummy, too. 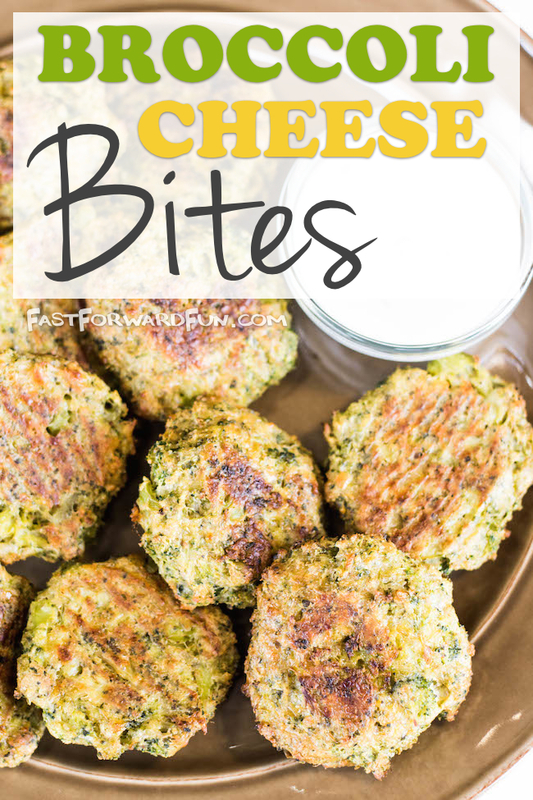 ***I used a 4 cheese blend for this recipe because that’s what I had on hand at the time, but I think shredded cheddar cheese is better. 1. Preheat your oven to 375 degrees. 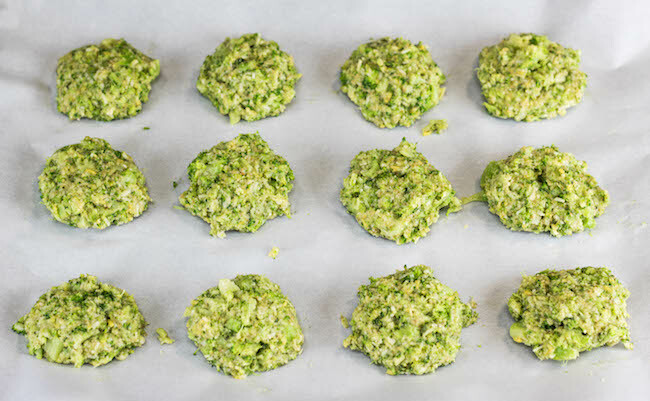 Thaw 16 ounces of broccoli (or cook fresh broccoli until soft), and chop into small pieces. 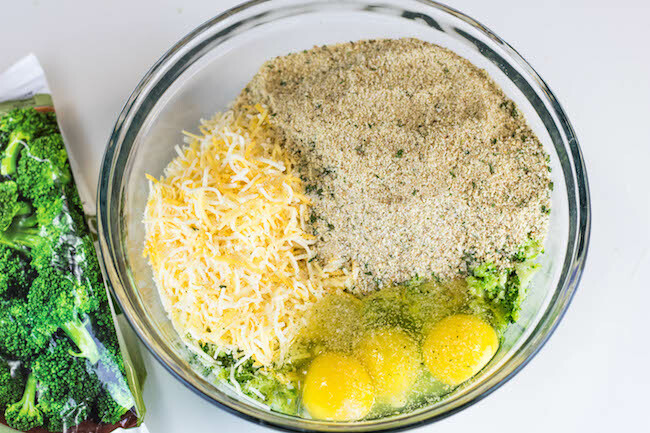 Combine your broccoli, 1 cup of Italian bread crumbs, 1-2 cups of cheese, 3 eggs, and the seasoning of your choice (I used about half a teaspoon of garlic salt) into a large bowl. 2. Mix together well with a spoon, or just go for it and use your hands. 3. 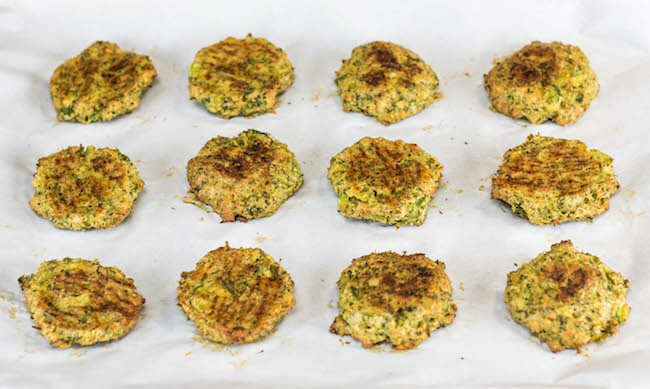 Create small patties (the smaller, the crispier they get) and place them on a parchment paper lined baking sheet. 4. Bake in the oven at 375 degrees for 20-25 minutes (depending on how large you make your patties), and flip half way through. 5. 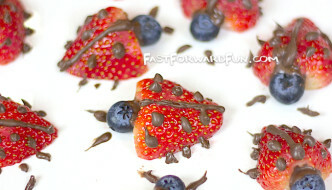 Remove from the oven and let cool for a few minutes. Serve with ranch or your favorite dipping sauce. 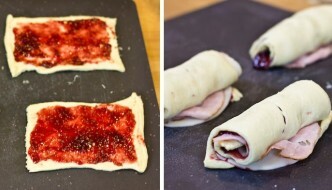 I made 2 batches, and the first batch was gone before I could get the second batch out of the oven! 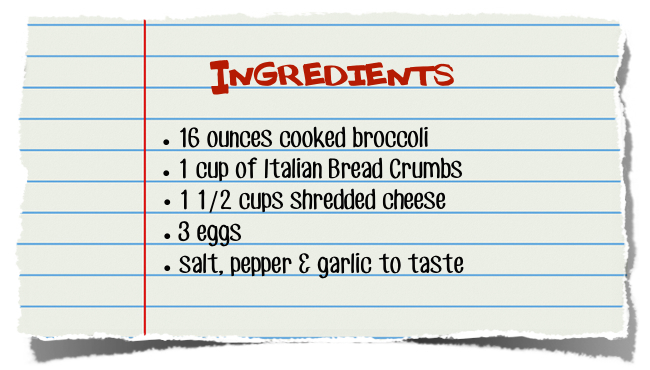 This is a fantastic recipe for kids, especially if you have a hard time getting them to eat their veggies! 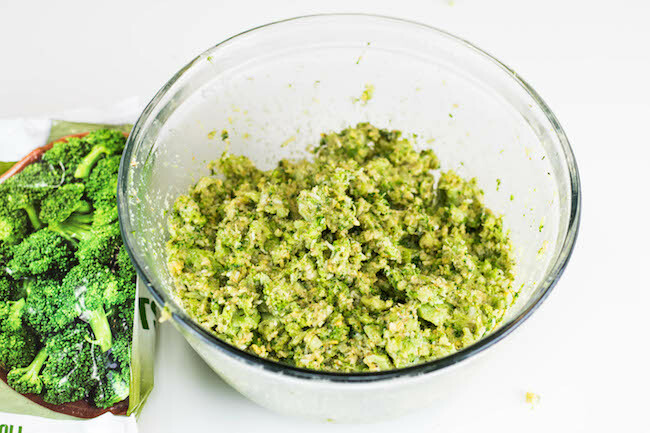 The broccoli is pretty well disguised when finely chopped and mixed with the other ingredients. A serving of protein and veggies doesn’t get any better than this! It was so tasty, we forgot that we were eating something healthy. It was also one of the easiest things I’ve ever made, just be sure to plan ahead and thaw your broccoli if you’re using the frozen stuff.